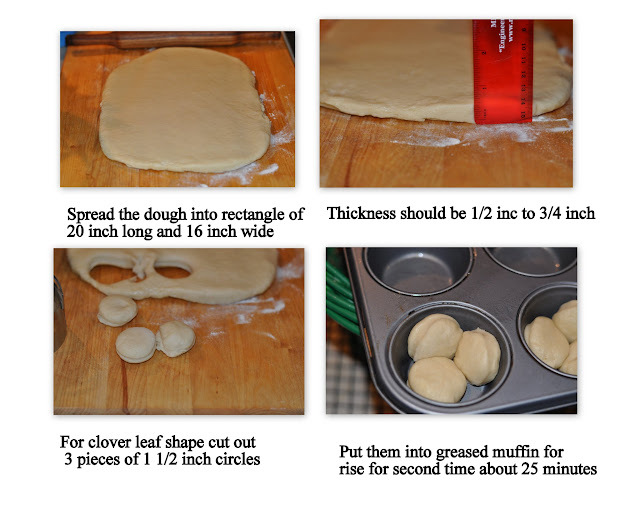 Lion House Dinner Rolls: Baking Partners challenge #4: Part 2. As I have mentioned in the earlier post, I have made a couple of dinner rolls for this Baking Partner’s challenge. 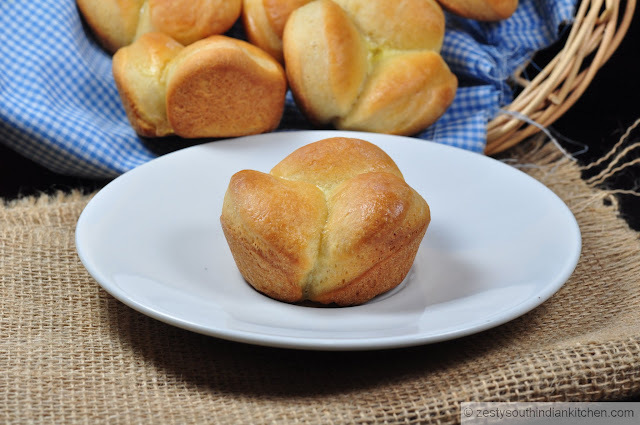 First time when I saw the Lion house dinner rolls was in Studio 5 show, where Brenda Hopkin, the Lion House Head Baker was showing how to make these dinner rolls with their mixes, I was curious and decide to try it. Lion house bakeries are a famous bakery in Salt Lake city, Utah. I have lot of memories connected to Utah, after marriage I lived for about 11 month. My hubby stayed there for about 6 years he worked at Bingham University and then for a company in Orem, Utah. We used to take long walks after dinner and weekends around the city as everything was closed there in Sunday. I too worked at Utah Valley State University for two semesters, before moving to Texas. It is a beautiful place with snow covered mountains in the winter and running waters stream in summer. My hubby and I took long drives during weekend to see national parks, Grand Canyon etc. I miss all that now. However, right now getting any personal time is out of question. Even taking a nap is not easy; one kid will be wake while the other one is taking a nap. I wanted to try lion house bakeries rolls exactly the way Brenda showed in that video, the only change I made is that I used both All-purpose and bread flour. I like that combo to prevent the chewiness. I also added a combo of shortening and butter instead of butter alone. 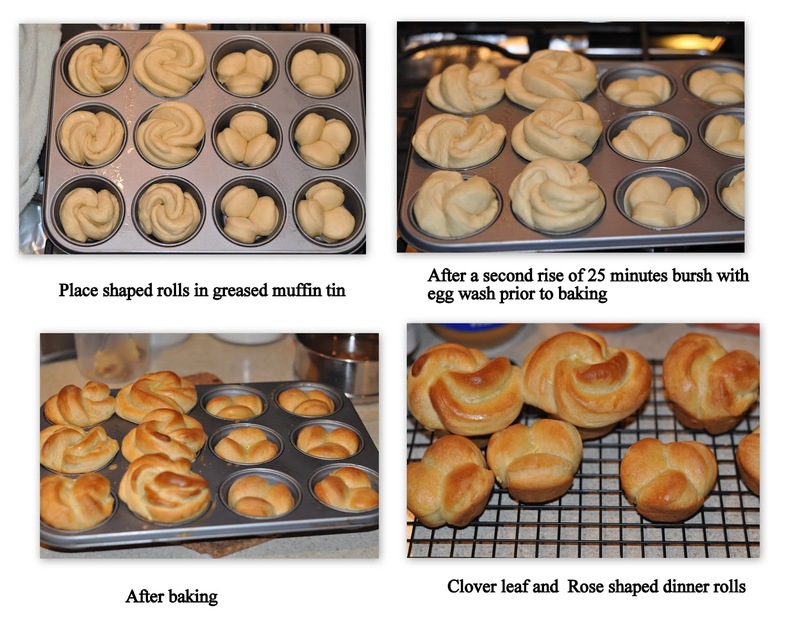 I made rose shaped and clover leaf rolls with it. It turned out the delicious and soft. Here is the recipe, these are really good for your dinner table; I am 100% sure about that. In a small bowl mix warm water and milk powder and combine well and set aside. In a bowl of kitchen aid stand mixer mix the flours, salt, sugar, yeast, shortening and butter along with wet ingredients to form a sticky dough. Knead well to form smooth dough and transfer to a greased bowl for doubling. It took about 90 minutes. Once it doubled transfer the dough to well floured area and spread it into rectangle and then cut out clover leaf and rose shape. In a small bowl combine the water and the milk powder and stir so the milk dissolves and combine well. In the large bowl of an electric mixer, add flour, yeast , sugar, salt, shortening, egg . Gradually add water and milk mixture and mix on low speed of mixer until ingredients are wet, then turn to medium speed and mix for 2 minutes. 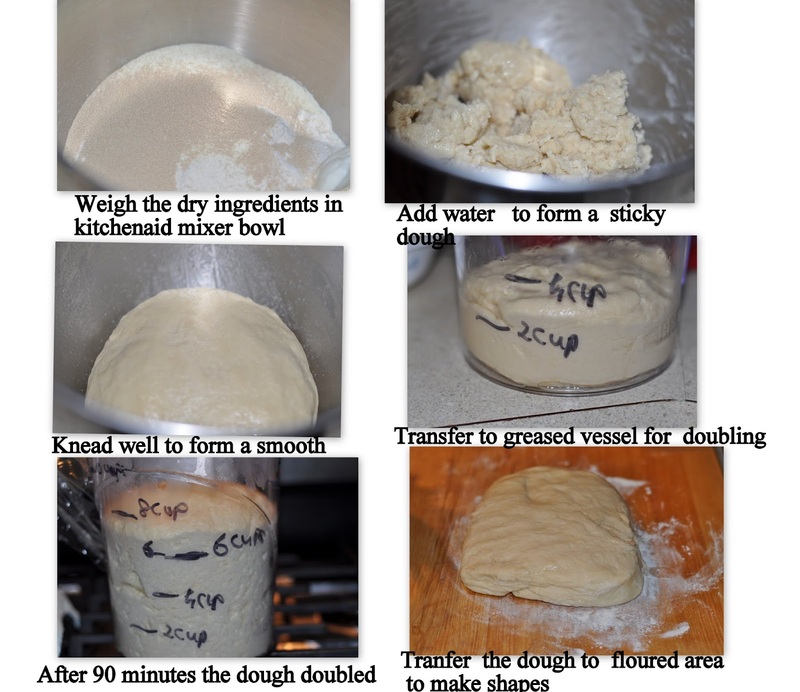 The dough will be getting stiff and you may need to remove the bowl from the mixer. The dough should be soft, not overly sticky, and not stiff. Scrape the dough off the sides of the bowl and pour approximately one tablespoon of vegetable oil all around the sides of the bowl. Turn the dough over in the bowl so it is covered with the oil. (This helps prevent the dough from drying out.) Cover with plastic and allow to rise in a warm place until double in size it takes about 90 minutes. Sprinkle a cutting board or counter with flour and put the dough on the flour. It is now ready to roll out and cut into desired shape and size of rolls. Place on greased (or parchment lined) baking pans. Let rise in a warm place until the rolls are double in size (approx. 30 to 45 minutes) .At end of second rise heat the pre-heat oven to 375F. When you are ready for baking brush with egg wash.
Bake for 15-20 minutes or until they are browned to your satisfaction. Remove from the oven and cool it in wire rack. Enjoy with warm butter. Please make sure you need to be join in baking partners for link it here. Otherwise it will be deleted. Wow Superb !! you made them perfectly !! I cant taste those rolls but its perfect looking and I bet it taste so great…..love ur clicks…. 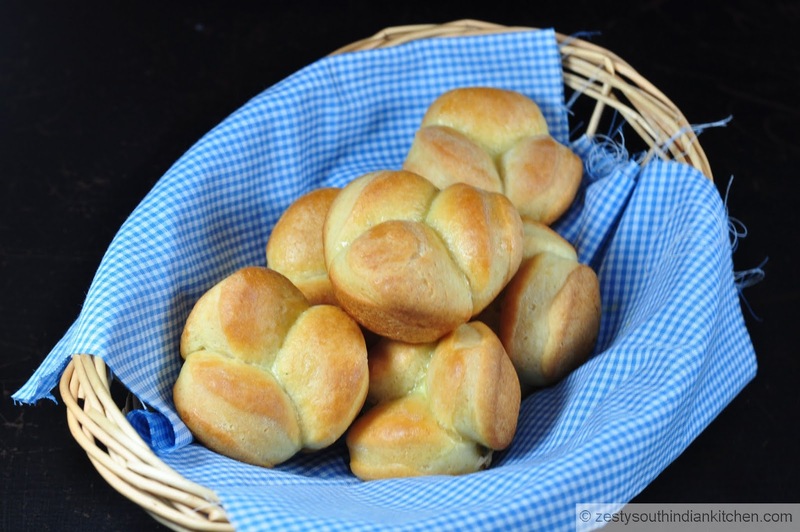 Awesome.. Dinner rolls look perfect..
wow wow and wow…awesome rolls dear.. Super! !They are so divine and looks so nice and want to grab them. 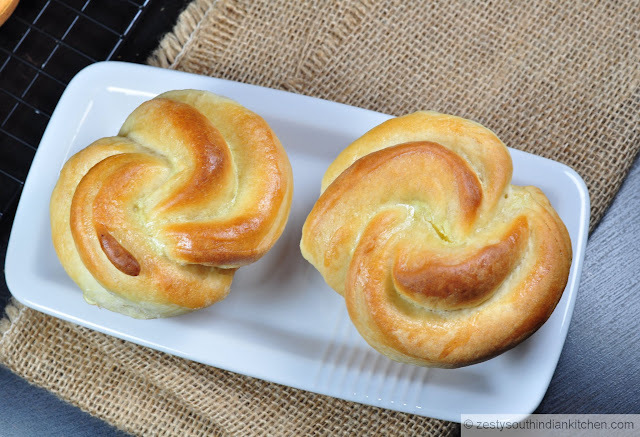 Perfectly baked rolls! Looks fantastic. 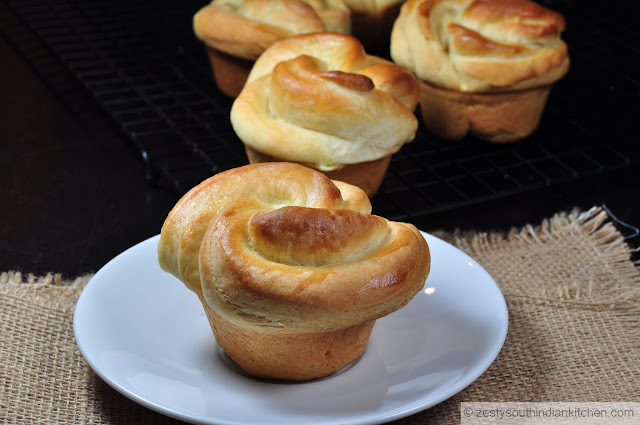 The rolls look just perfect Swathi…. Swathi, you know how much I love these artistic buns! Lovely! 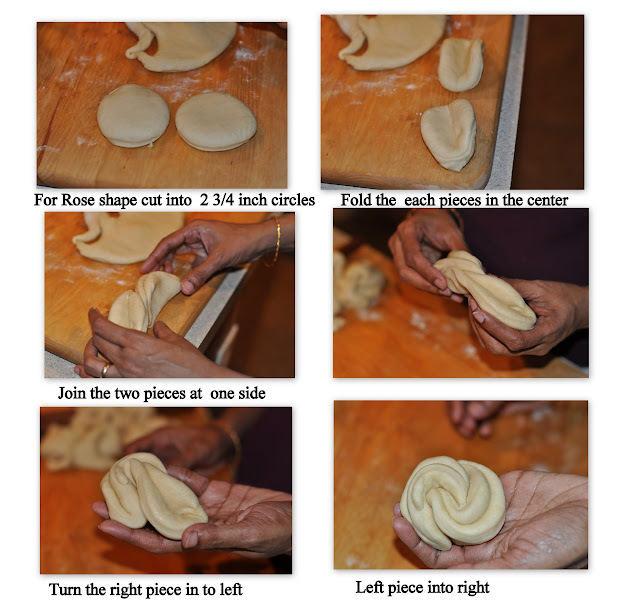 Awesome job Swathi, loved that you have made all the shapes, i’ll be making some rose shaped dinner rolls soon with wheat flour. yours came out just perfect…gorgeous!!! Wow looks so good and perfectly done!!! love the rose shape!! Swathi! I LOVE the rose shape! Thanks so much for sharing your recipe and the folding technique! Felicitaciones por el paso a paso gran receta hugs,hugs. What a treat these beautiful rolls are Swathi! They’re perfect. I always wondered where the name came from. Hope you had a good Thanksgiving! Mouthwatering rolls! Lovely! 🙂 Came here from HBG and I am a big rolls fan so ever ready to try another recipe 🙂 Tks for sharing! One question. Does the omission of shortening affect the rolls? Have not used it before. Have used butter instead in all the recipes so far. Thanks in advance!